The package waited for my return from work. Climbing the front steps I heard soggy brown protests whimpering in Vancouver rain. No measure of weather beaten packaging could dampen the moment. I scooped it inside, knowing full well my Quora Top Writer 2017 Patagonia jacket had arrived. Several years ago a friend introduced me to Quora. A few days later I posted https://notestoponder.wordpress.com/2014/10/11/quora/ on this blog. Asking questions that cross my mind, answering others when I have something to contribute, my followers grew to a few hundred. I won’t lie – my top three questions garnering over 5 million views combined, puffed the old chest. “Congratulations! You’ve been named as a Top Question Writer for 2017. 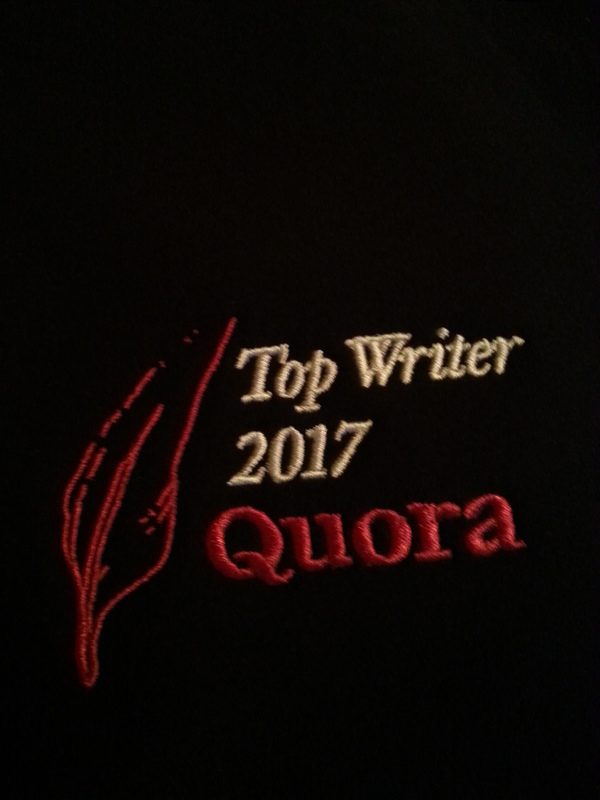 You should see a Top Question Writer icon on your profile page that indicates you are part of the 2017 class of Quora Top Question Writers. The message went on to list questions deemed worthy of recognition, conspicuous absence of most viewed questions didn’t help confusion – I have 179 followers, what are you talking about? Mailing a Patagonia jacket, invited to annual conference in New York… Stop! Was I nominated, is this a big Quora deal? Time for a little research. Launched in 2009, Quora reports 100 million visitors a month, over 40 million users in America alone. In 2012, the first Top Writers were named – that part was easy. Further investigation revealed my soggy brown package was a big deal. A multi faceted conclusion based on Quora’s reluctance to provide recipient stats, abundant chatter indicating annual honorees number between 500-1000 worldwide and scores of queries on what it takes to be named a Top Writer. None of which matters to anyone but myself, recipient of a soggy brown package confirming I’m a Quora Top Writer.